That answer is of course unique to each of us however at MTC we all share this in common… we love what we do! Each day when we provide therapy, touch the families and witness the impact and the ripple effect of our sometimes brief time with our clients… we are truly fulfilled! We know you have the clinical skills, at MTC we offer flexible scheduling, multidisciplinary team collaboration, efficient documentation and the resouces of a exceptionally dedicated office team which combine to allow you to pursue your passion and discover your leadership talents! 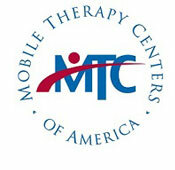 Mobile Therapy Centers is Hiring! We are expanding and looking for Full and Part Time Occupational Therapists & Assistants (OT/OTA), Speech Therapists & Assistants (SLP/SLPA) and Licensed Clinical Social Workers (LCSW). Contact us at 847-816-7200, email us at employment@mtcus.com or click on the link below.